Adding social media icons is just like adding normal icons. 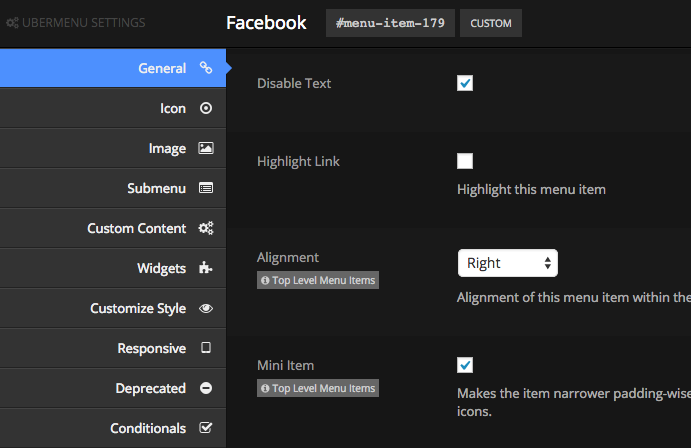 Please first review the Icons article to understand how to add icons to your menu. Out of the box, UberMenu 3 offers icons for Facebook, Twitter, LinkedIn, Google+, Pinterest, GitHub, YouTube, dribbble, tumblr, Skype, Instagram, Vimeo, and Flickr. To add social media icons as seen in the demo, add a custom top level menu item, set your URL to point to your social media profile, and select your icon as desired. To remove the text next to the icon, check the Disable Text option in the menu item setting. 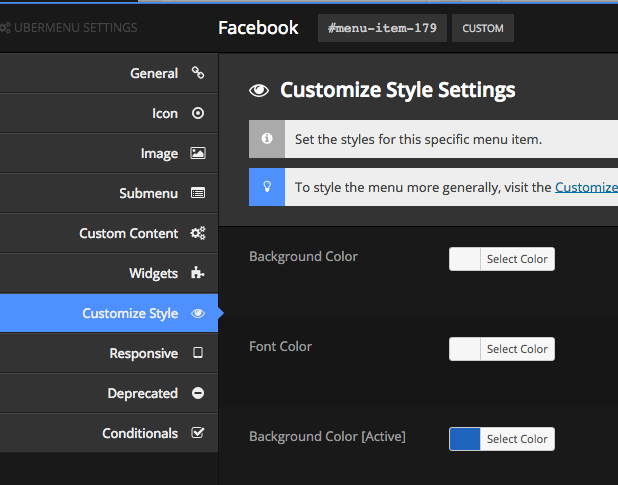 To change the background, icon, or hover colors, use the colorpickers in the Customize Style tab of the menu item settings.